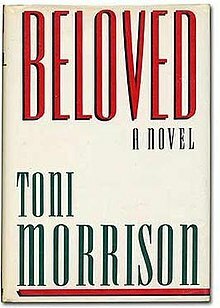 Beloved is a story about an African American former slave named Sethe who is haunted the ghost of her infant daughter Beloved. While escaping from her master, Sethe murdered her daughter Beloved so that she wouldn’t have to live the life as a slave. Sethe is shunned by her community and lives her other daughter Denver. The two live an isolated existence with the poltergeist until an old acquaintance called Paul D. arrives. The book was inspired by a former slave named Margaret Garner who killed her daughter, so she wouldn’t endure a life of slavery. It is an interesting and sad case as it was debated whether she would be trialed as a person or property. I thought it was interesting how the characters embraced Beloved and the different relationships that they had with her. Denver has a confidant and doesn’t feel so lonely anymore and Sethe feels like she can make up for what she did to Beloved. Paul D. doesn’t trust her at all. I sympathized with Sethe. What she did to Beloved was terrible, but I understand that she was in an awful situation and wanted to protect her children in her own way. Maybe I would feel differently if she were a real person. The true tragedy of the book was slavery and the trauma that survivors felt and having to adjust to the world. It was hard reading the cruelty that happened to the characters in the book and the racism of that time period. This book is not something I would normally read. I had to read it for a college course that I was taking in Gothic Literature. I found this book a little hard to read at first because of the way it is written. I didn’t understand some of the metaphors and the dialogue at times. Overall, I enjoyed reading the book. We absolutely love comments but please don't comment just to advertise your giveaways or ask us to follow you, such comments will be deleted.